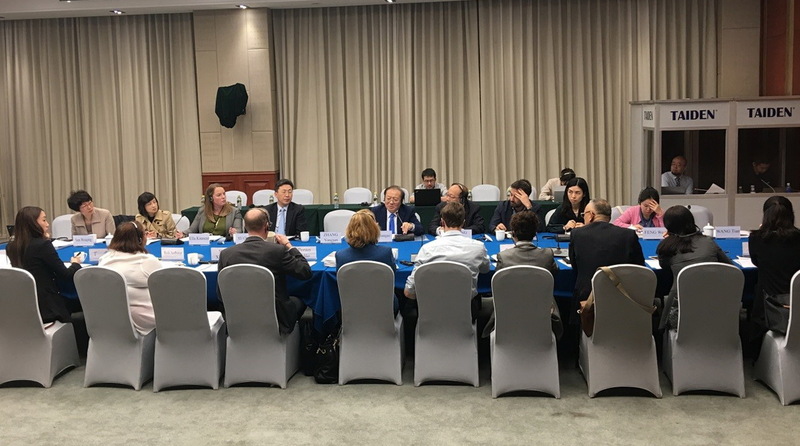 On April 26, 2018, CCIEE held a roundtable discussion with the theme of International Experience in the Development of International Cooperation Agencies and Project Management. Representatives from the United Nations Development Program, the European Union, the United Kingdom, Germany, Australia, and the Adenauer Foundation of Germany attended the meeting and shared their experience in international development cooperation, including the establishment of institutions, the selection of regions, countries, priorities and projects, the evaluation systems, indicators and so on. Wei Jianguo, Vice Chairman of CCIEE attended the meeting and gave a keynote speech. He pointed out that under the current trend of globalization, effective and equal international development and cooperation has become an indispensable bridge between countries with different stages of development, cultures, political and economic systems. It is also a vital strategic approach to build a common community of shared future for all mankind. Experts from CCIEE exchanged views with the representatives on the establishment of China’s international development cooperation system. Leaders and representatives from relevant departments of the National Development and Reform Commission attended the roundtable.